Borrowing and returns of such items such as Books, DVD’s, Musical Instruments, Sporting Equipment plus anything else that you may wish to lend out to Students or Staff. The Library module is integrated with PCSchool enabling it to extract its Patron file based on the Identity File and the information held in the Student and Teacher database. The Library provides full bar code support for both Patrons and Items significantly enhancing the borrowing, return and stocktake procedures. Data entry can be either as a single Item or the Library is capable of bulk loading utilising external data sources. Multiple copies of Items are readily entered without duplication of the data. Multiple subjects (unlimited in number) can be attached to each title. At the beginning of each year or term updated details such as new Students or Staff members can be imported into the Library this will update the current Patrons information with new year levels, Teachers, name changes and email addresses. 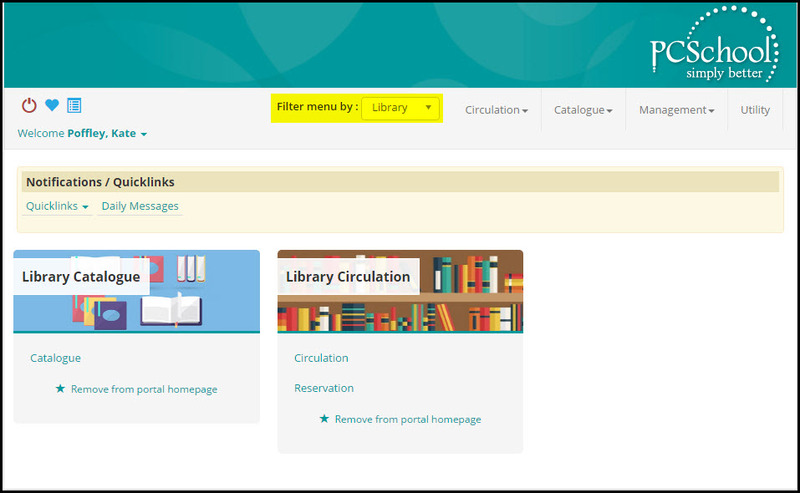 The new look of the Library makes it easy to use with clean smart lines; it has the same functionality as previous and a fast reliable performance making it a world class program. Instructions for the setup and use of the PCSchool Student Management System web based Libary can be found here.